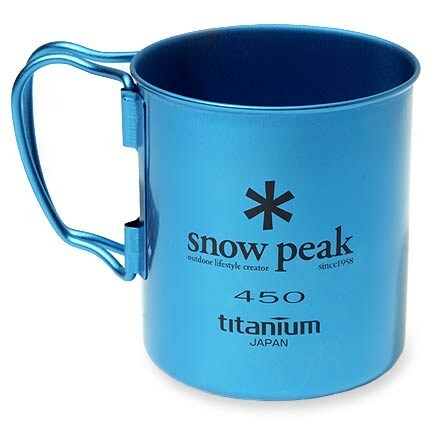 Snow Peak Camp & Hike Titanium Double Wall Mug- 450 Blue MG053BLUS. 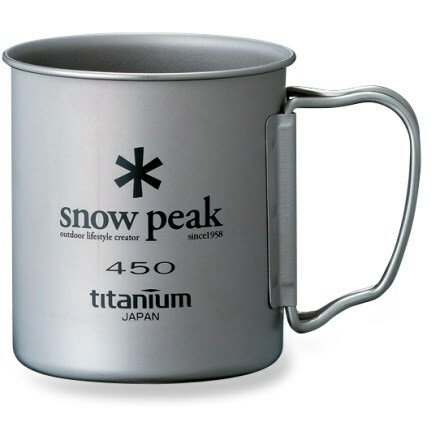 2003 these Snow Peak Titanium mugs have passed the test of time. 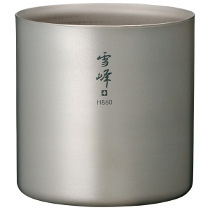 These mugs will keep your drink hotter longer and look the best doing it. Each mug comes with a mesh carrying case to keep it looking beautiful. 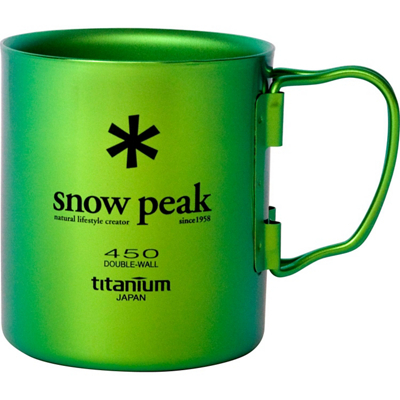 Your first sip will be as toasty as the last when you pour coffee into Snow Peak's insulated Ti-Double 450 Colored Mug. Its double-wall construction is 100% titanium for long-lasting durability, so long you might be handing this down to the next generation. 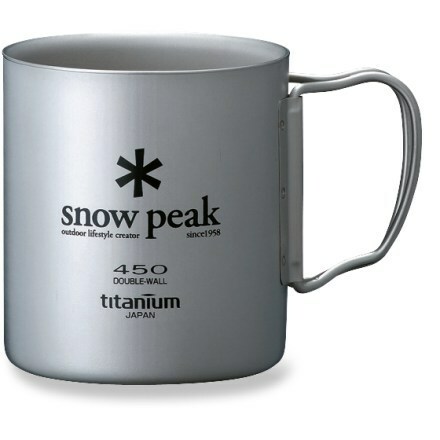 Never face the chilly outdoors with a tepid beverage that should have been hot - fill Snow Peak's titanium Double Wall 450 mug with your favorite hot drink and keep it that way. 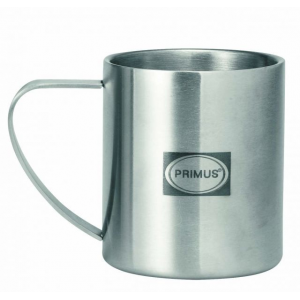 By isolating your drink with double-wall titanium construction this mug keeps your drink steaming and you happy while garnering Backpacker Magazine's coveted "Great Mug Test" award.